In the early 1880s, William “Sand Bar Bill” McKenna was a railroad cop for the Union Pacific. By 1887 though, he’d left the UP and built McKenna Hall at Sherman Avenue and Locust Street by the old Sulphur Springs. A decade later, the brick building that became the long-running State Bar was built, and everything took off from there! In 1887, Willet Robbins and his wife sold the land on this corner to David Archer, who in turn sold it to “Sand Bar Bill” McKenna to run his hall. That same year, John Buck applied for a liquor permit for the McKenna Hall at 2827 North 16th Street. From my research, it looks like McKenna owned the building and Buck owned the business. Over the next 25 years, Bill McKenna hosted political party meetings and a variety of other events on the second floor. Ed Rosewater, Jim Dahlman and other figures of the day spoke there repeatedly, and the hall appeared regularly in political party announcements and records in the newspapers. Democratic Party speeches and debates were held at the hall frequently, too. It was such a popular political gathering spot that sometimes it was referred to as the 5th Ward Club. 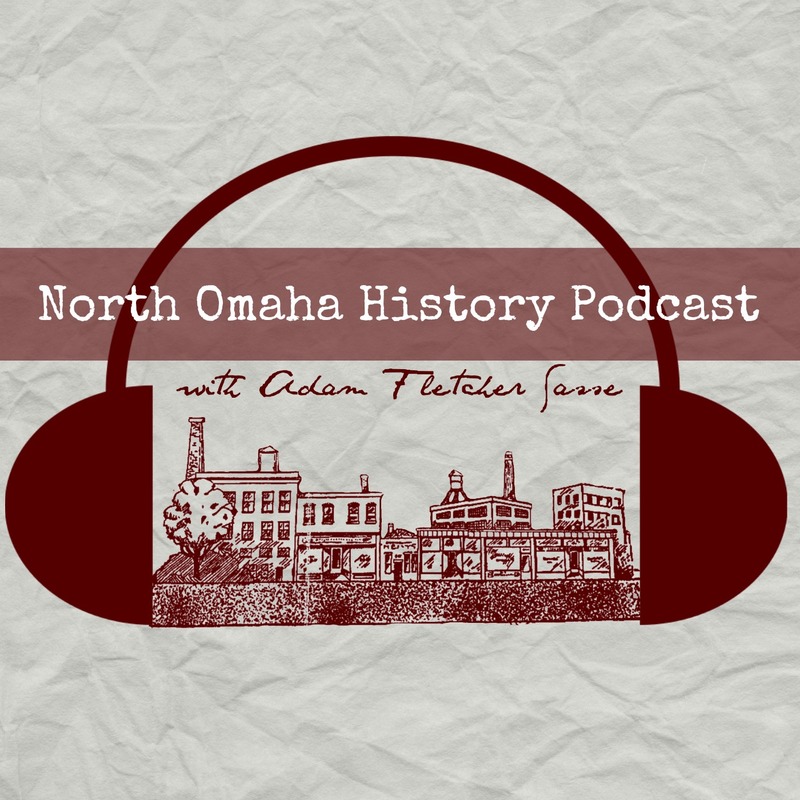 Micah Evans, an administrator for the Omaha History Club, recently found that in 1898, the Omaha Brewing Association took out a permit to erect a brick saloon on the southeast corner of 16th and Locust for $5,000. Located ten blocks north of the Storz Brewing Company, the Omaha Brewing Company’s main label, Gottlieb Storz was responsible for the building that stands there today. We haven’t discerned how long it was a “tied house,” meaning that it probably exclusively sold Storz Beer. The year it was built, McKenna Hall sat at the northern entry to the Midway at the Trans-Mississippi and International Exposition. With 3,000,000 visitors coming through the entire Expo, the building inevitably saw its most foot traffic ever during that event. Before the Expo opened that year, a new two-story building was constructed on the corner with a bar on the first floor and McKenna’s Hall on the second floor. The early community in North Omaha met regularly at McKenna’s Hall, calling for a variety of improvements in the community. For instance, in 1900 community members led by Joseph Redman met at McKenna Hall regularly. They planned on buying the Bluff Tract left over after the 1898 Trans-Mississippi and International Exposition for years, but I can’t discern whether that happened with their influence. Starting in 1924, the Sherman Avenue Progressive Club was formed at McKenna’s Hall. For the next several years, business leaders and neighborhood residents met to advocate, plan and enact development along the strip, including better streetcar service, electric lights, pay phones and more. There were reportedly more than 100 members – but the club reports stopped in 1929. The State Bar is the red building on the corner of N 16th and Locust. Pic courtesy of Michaela Armetta. As it was major intersection of two bus routes, one that would take you the Miller Park area and the other through Carter Lake and down to East Omaha, and according to a lot of former residents, the bar hosted a lot of people who would stop for a quick drink while waiting for their bus. During the 1970s until the mid 80s the upstairs housed an after hours club. According to author Glenn Hubbard, Walter Sims owned the business, and it had a bar area with a kitchen, a 2nd room for gambling, and 3 bedrooms for “private entertainment”. In 1982, Sims was convicted of manslaughter after killing a man in a party on the second floor. As per the usual reporting in the Omaha World-Herald, the business looks shady in the newspaper. All through the 1970s and into the 80s, there are multiple reports of shootings, robberies, violence and other negativity there. The McKenna Hall and State Bar is one of the oldest buildings at the intersection of N. 16th and Locust, and serves as a visual anchor of the historic significance of this intersection. Throughout its existence, this intersection has seen the rise and fall of streetcars; the rise and fall of North Omaha; the continued obliteration of North Omaha’s architectural landmarks; and the emergence of care and concern for buildings just like this. I propose the development of an application to the National Register of Historic Places for the 16th and Locust Historic District. After the City of Omaha demolished the Wolff Bros. Store opposite of the State Bar in 2016, I became alarmed at the abandonment and ease with which they destroyed it. Working with the City of Omaha as a partner, this particular corner could be re-established as an economically viable, attractive place to live, work and thrive. A vision would have to launch this, and that’s what this article is meant to do: Inspire YOU to take action! Wasn’t there a dentist’s office on the second floor of this building? I have that being across the street in the building with the Wolff Brothers’ store. Does that sound more familiar Barbara?